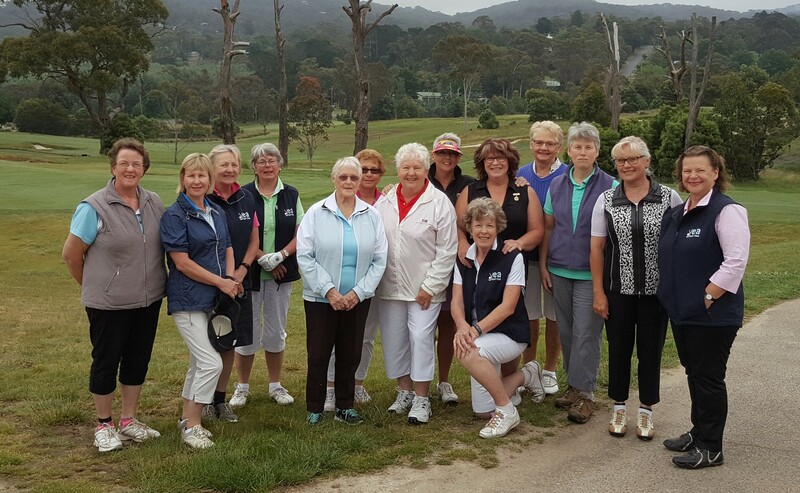 WIth our Ladies travelling to Healesville RACV Resort today to play 9 holes, enjoy a 3 course meal and present their 2016 Awards the Men enjoyed ‘Royal Yea’ to themselves. Ten men played a Stableford round and showed some fine form. Neil Peterson (38) and Gary Pollard (37) were the standouts but Bill Dredge, who won NTP also won the Club Award with 29, leaving no doubt the Men would have at least won the average ….had the Gender Challenge been played. Poor form Ladies!! 14 Ladies played the 9 holes Ambrose at RACV. Adrianne and Beryl won that event. A most enjoyable day was had by all.